Wilsonville, Oregon: Crimson Trace announces the much anticipated Lasergrips for the Kahr K Series, (Model LG-460 for the full-size) and the MK Series, (Model LG-461 for the compact models). These Lasergrips fit both the 9mm and the .40 caliber. Suggested retail price is $299.00. The LG-460 and LG-461 are a wrap-around grip design that uses the same grip screws as the stock grip for easy installation. It is instinctively activated by a pressure switch built into the front strap of the polymer Lasergrips. Simply grasping the firearm in a normal shooting grip activates the laser. All electrical components fit into the Lasergrip, which mirrors the size and weight of stock grips and is ergonomically designed for comfort. The front strap where the pressure activation switch is located is rubber overmolded for comfort. 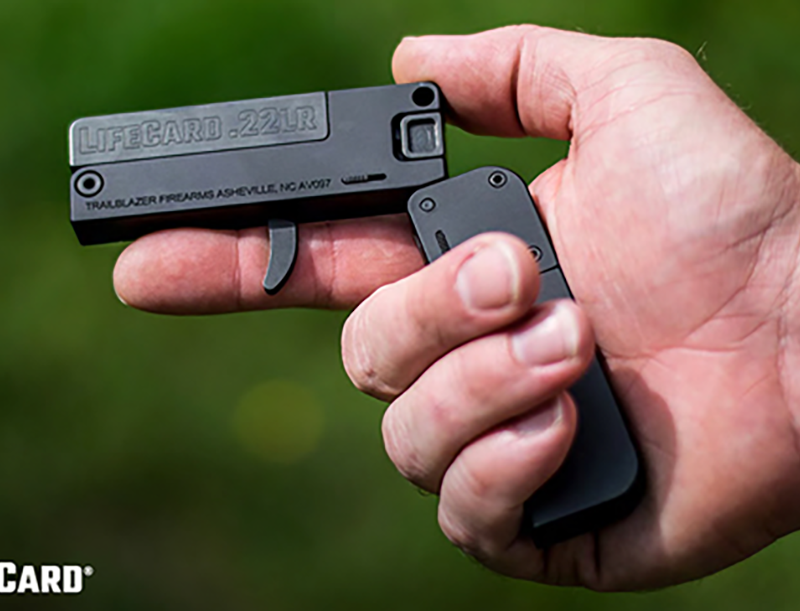 The sides of the Lasergrips are made of hard polymer material for ease of draw when carried in a pocket holster. Two #2032 batteries are located in the palm swell on each side of the Lasergrips, providing over 4 hours of constant-on beam time. The master on/off switch is located on the underside and uses a slide switch that gives positive feedback to what position the switch is in. Even when the master switch is in the “on” position, there is no power drain from the batteries until the laser is activated. A feature of the LG-460/LG-461 is that it uses the smaller 3.3mm diameter laser diode versus the standard 5.6 diameter diode that is found in most other brands of laser sighting devices. This reduces the overall size of the laser diode housing. As with all other Lasergrips, the LG-460/LG-461 has both windage and elevation sighting adjustments for shooters to make adjustments on their own. 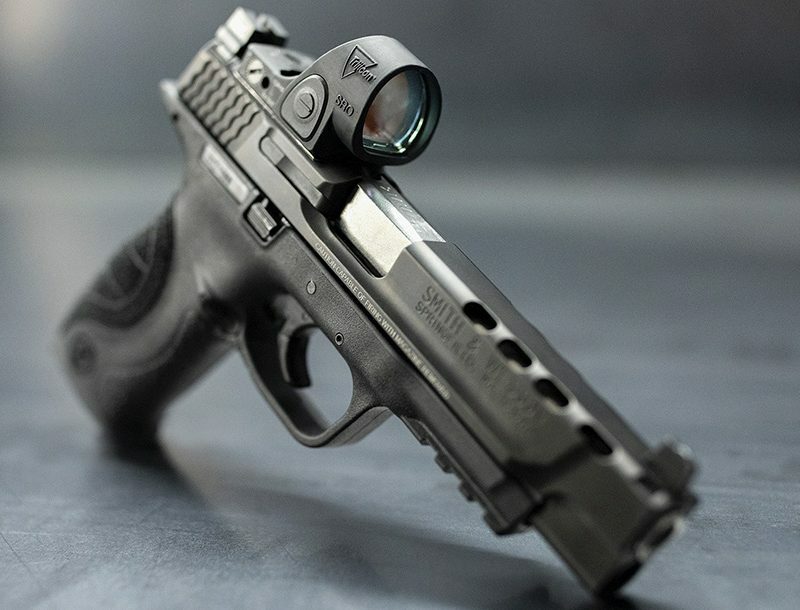 All Lasergrips come with an accessory pack that contains batteries, hex wrenches for laser adjustments, a cleaning cloth and several cleaning swabs. A three-year warranty is standard. Lasergrips are made in the United States of America. Crimson Trace is the world’s only manufacturer of grip-integrated laser sighting systems. Police, all branches of the U.S. Military, and responsible citizens’ worldwide use patented Lasergrips. Crimson Trace Lasergrips are recommended as an essential accessory by some of the world’s top firearm instructors.